Is the 2016 Washington State Legislature the Most Corrupt Legislature in History? When one uses the term “corruption” one is likely to think of big states like Texas or Florida or Illinois with all of their bribery and kickback schemes. In this article, we will provide a few examples of why the Washington state legislature may be not only one of the most corrupt legislatures in the nation – but one of the most corrupt legislatures in the history of our nation. Here are the facts. In September, 2014, for the first time in the history of Washington state, the Washington State Supreme Court held the Washington State legislature in “contempt of court” for failing to comply with our State Constitutional Paramount Duty” to fully fund our public schools. The 2015 legislature responded by adding back nearly one billion dollars in funding they had cut a couple of years earlier. The legislature had the audacity to call restoring these funds an “increase” in school funding. In August, 2015, our Supreme Court was not amused by this false claim and began “fining” the State legislature for failing to fund our public schools. However, the 2016 Washington State legislature has not even been willing to discuss funding public schools. Instead, they have once again decided to kick the can down the road by forming a committee to study the issue – making this the seventh Education Funding committee in the past 20 years! This alone ought to be enough to call the Washington State legislature the most corrupt legislature in history. But there is more. Sadly, there is much more. Exhibit #2: Despite having one of the strongest economies in the nation, Washington State has among the lowest school funding and highest class sizes in the nation. In January 2016, Business Insider rated Washington state as having the strongest economy in the nation. 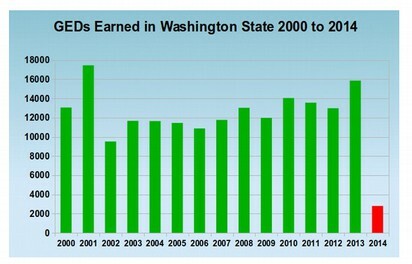 This was mainly because Washington state has a very high per capita income. 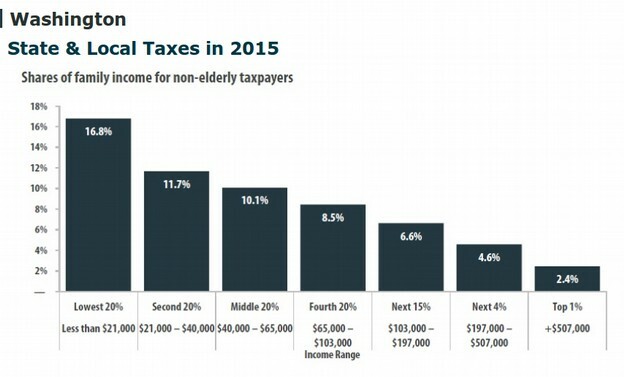 What the article failed to mention is that most of the income in Washington state goes to a few billionaires. The article also failed to mention that Washington state has among the lowest school funding and highest class sizes in the nation. We will get to the reasons behind this lack of school funding in the next three Exhibits confirming the corruption in Olympia. Exhibit #4: Some claim that the Boeing $9 billion tax break is the largest tax give away in the history of the planet. Ironically, despite being given $9 billion in no strings attached payoffs, Boeing has continued to ship thousands of jobs out of Washington state. Time for a quiz question: Where is Microsoft located? Raise your hand if you think they are located in Redmond Washington. Despite making more than $20 billion per year in profits, Microsoft has avoided paying Washington state taxes by claiming that they are located in Reno Nevada. Washington state has a one percent Business and Occupation tax on gross receipts that Microsoft is dodging. One percent of $100 billion in gross sales is $1 billion per year. Multiple this times the past 10 years and Microsoft owes the children of Washington state at least $10 billion in back taxes. Like Boeing, Microsoft has been laying off people instead of hiring them. So this is a one two punch against both our schools and our economy. Exhibit #6: Despite giving away billions of dollars every year to billionaires and wealthy multinational corporations, the Washington State legislature cannot seem to find any money to fund our public schools. It would take more than $3 billion per year in additional funding just to restore school funding and class sizes in Washington state to the national average. This is why the Supreme Court is fining the state legislature. But despite this huge shortfall, and the court order, the 2016 Washington state legislature is not even holding hearings on funding our public schools. Instead, only one bill has been submitted in the Washington state legislature in the past two years that would actually provide the billions of dollars needed to fully fund our public schools. That bill was Senate Bill 6093 by Senators Chase and McAuliffe which would raise about $4 billion per year by repealing a tax break for billionaires. Olympia is so corrupt that this bill has not even gotten a hearing. Washington state has one of the highest percentages of “unhoused students” in the nation with more than 10% of all Washington students (more than 100,000 students) forced to spend their school days in unhealthy particle board boxes. Also, over half of all schools in Washington state are more than 50 years old and do not meet health standards or earthquake standards. In the event of a major earthquake, as many as 500,000 students could be killed or injured. Yet, unlike Oregon and British Columbia – which have started to address this problem, the Washington state legislature has refused to do anything to address the school construction backlog. Instead, the legislature has shifted nearly the entire burden for building schools onto the backs of local homeowners through sky high local property taxes. Exhibit #8: The Washington State legislature has actually passed bills to increase child homelessness and child poverty. 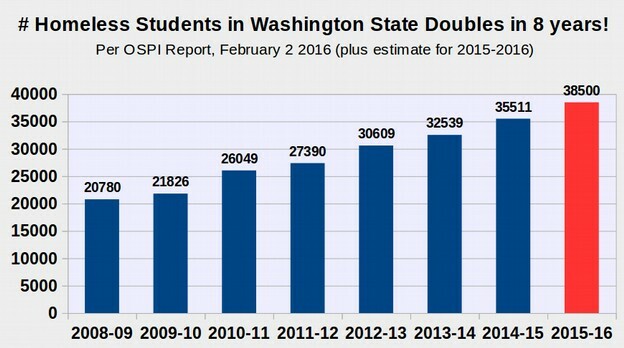 On February 2 2016, Washington State OSPI announced that the number of homeless students in Washington state continues to rise at a rate of 20% per year. For the 2014-2015 school year, more than 35,000 Washington state students did not have a permanent place to sleep at night. Continuing this 20% rise for the current school year means that the number of homeless students has doubled from about 20,000 to about 40,000 in just 8 short years. Only half of these homeless students manage to graduate from high school. Equally appalling is the dramatic rise in the percentage of students living at or near the poverty level in Washington State. 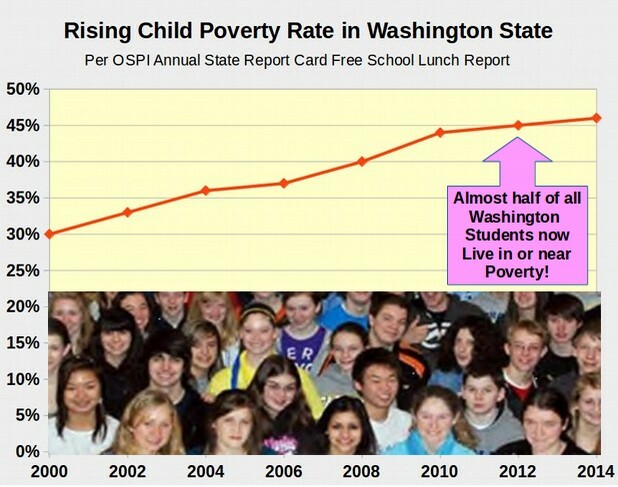 Just 16 years ago, only 30% of Washington students lived near poverty. Today, nearly half of all Washington students live near poverty. This is an increase of 200,000 students living near poverty in our state in just the past 16 years. Part of the problem of child poverty and homelessness is that their parents do not have jobs (and the legislature has done nothing to create jobs). But the other part of the problem is that the Washington legislature has actually gutted programs designed to train parents so that they can go out and get a good paying job. In 2011, while the Washington legislature was approving massive tax breaks for billionaires, Microsoft and Boeing, they were also gutting the Working Connections program. This program provided low income children with child care and a place to live while their parents learned job training skills. The legislature gutted $100 million from this program resulting in about 30,000 families being tossed out onto the streets. Tens of thousands of children lost their only source of income – all so that billionaires could buy bigger boats. In January 2014, a for profit corporation called Pearson took over the GED High School Equivalency test and made it so hard that not even college professors or members of our state legislature could pass it. This resulted in the number of students receiving a GED in Washington state falling from a previous average of more than 13,000 graduates per year to less than 3,000 graduates per year. Because a High School Equivalency Certificate is needed to get a good paying job or go to college, the lack of a fair GED test has destroyed the lives of more than 10,000 students per year or about 200 students per week ever since January 2014. But despite this devastating harm to low income young adults, our State legislature has refused to allow students in our state to have access to either of two fairer options – the HiSET and TASC. 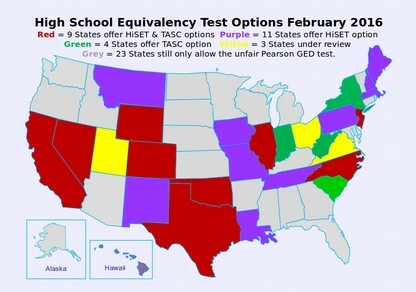 Meanwhile 27 other less corrupt states have acted or are in the process of acting to allow their struggling low income students access to a fairer test (see map). Ironically, failing to offer struggling low income students a fair high school equivalency test will ultimately cost our state hundreds of millions of additional dollars in prison costs and the lack of a high school equivalency certificate increases the chances of a person committing a major crime by about 10 percent. So depriving 10,000 students per year of a High School Equivalency certificate will eventually increase our prison population by about 1,000 inmates per year. Conclusion… Is the 2016 Washington State Legislature the most corrupt legislature ever? If forcing one million students to attend over-crowded, unsafe and unhealthy classrooms just so a few billionaires can get bigger tax breaks is not a sign of extreme corruption, then I do not know what is. The only good news in this report is that 2016 is an election year. I am hoping some parents and teachers will finally say “enough is enough” to the corrupt clowns in Olympia and run for office to replace all of them. As always, I look forward to your questions and comments.